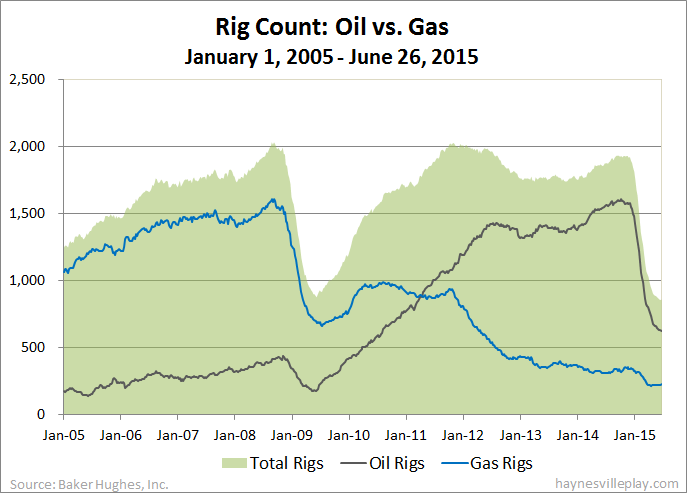 Breaking a six month losing streak, the Baker Hughes U.S. rig count was up by two rigs this week to 859. Oil rigs were still down - but only by three - to 628, gas rigs were up five to 228 and miscellaneous rigs were unchanged at three. By type, horizontal rigs were down eight to 654, vertical rigs were up seven to 107 and directional rigs were up three to 98. Among gas rigs, horizontal rigs were down one to 164, directional rigs were up four to 48 and vertical rigs were up two to 16.